Houseplants look gorgeous in these stoneware, glazed plant pots. They have a circular repeat design with a traditional feel inspired by the fabulous tiles found in the Portuguese city of Porto. 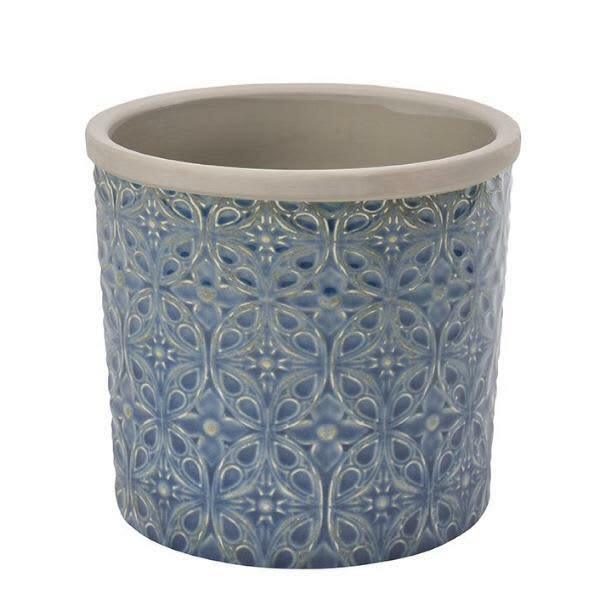 Made from durable stoneware and finished with a beautiful rich blue, crackle glaze.